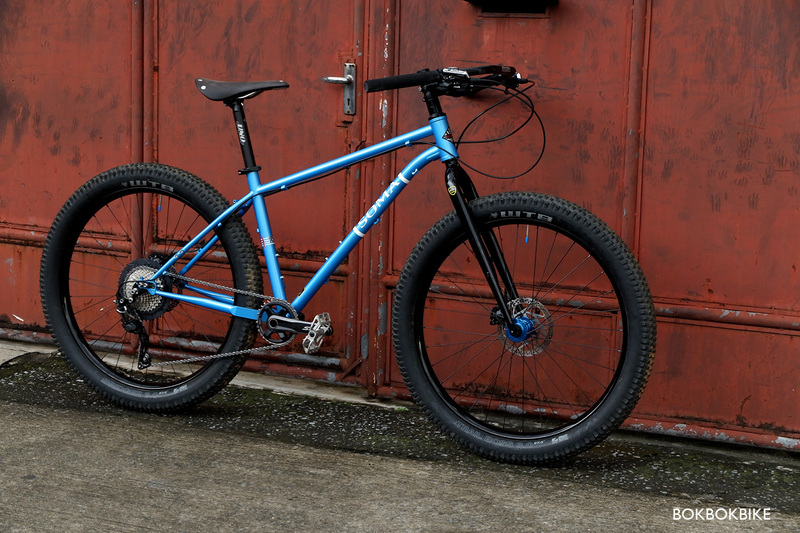 The Riff is our hardtail frame for 27.5"/650b wheels. (It replaces the B-Side model) While the B-Side showed our tendency of not following the latest trends, the Riff is pretty modern in geometry and features. 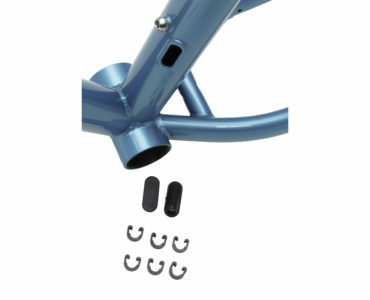 Tough IRD Broski Sliding Dropouts allow you to go single-speed or geared or even run hub gears. 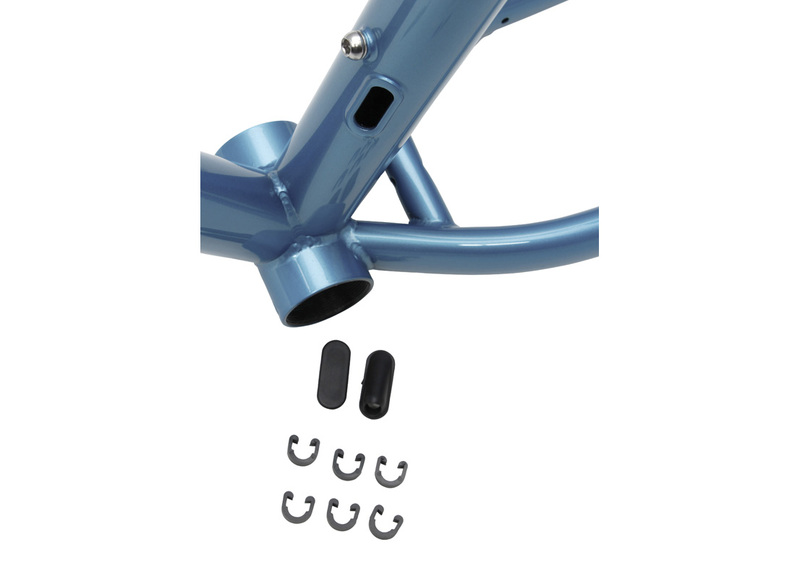 Also new is internal seat tube dropper post routing. 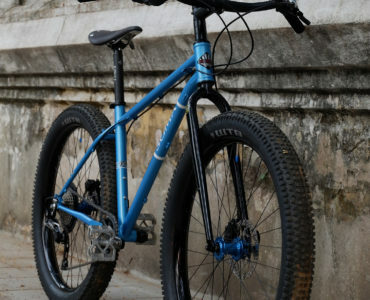 A modified chainstay allows fitting even some double cranks with "plus size" 2.8" wide tires without needing to invest in Boost parts. We even offer a belt-drive ready version. - 135mm spacing for traditional QR hubs. Old school, yes, but upgradable to 142 x 12mm Thru-Axle with new inserts. This is a tough thing to give an explanation to especially to someone who has only ridden 26" wheeled mountain bikes. To these folks there isn't anything deficient with 26" wheels at all. That's how the collective mountain bike community felt before the 29er came along and we had something different to compare it to. 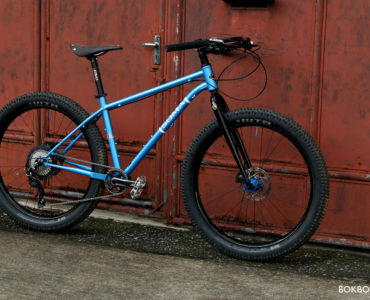 And for the last few years, we've had folks that swear that the 29" wheel is the best MTB invention since the suspension. And others who've tried it and hate it. And we have some that own both types of bikes. It is from this paradigm, we make the statement that one tire size does not ideally suit every rider. We feel the 650b to be the "happy medium" between 26" and 29". Who do we think should try 650b? 1) Those who feel 29ers were a little to unwieldy and slow to accelerate. 2) Those who liked the 29ers rolling advantage, but didn't want to give up the steering quickness of a 26" bike. 3) Those who want big wheel benefits, but find most 29er frames are a little too big for them. 4) Those who find 29er wheels a little heavy. 650b will be noticeably lighter. 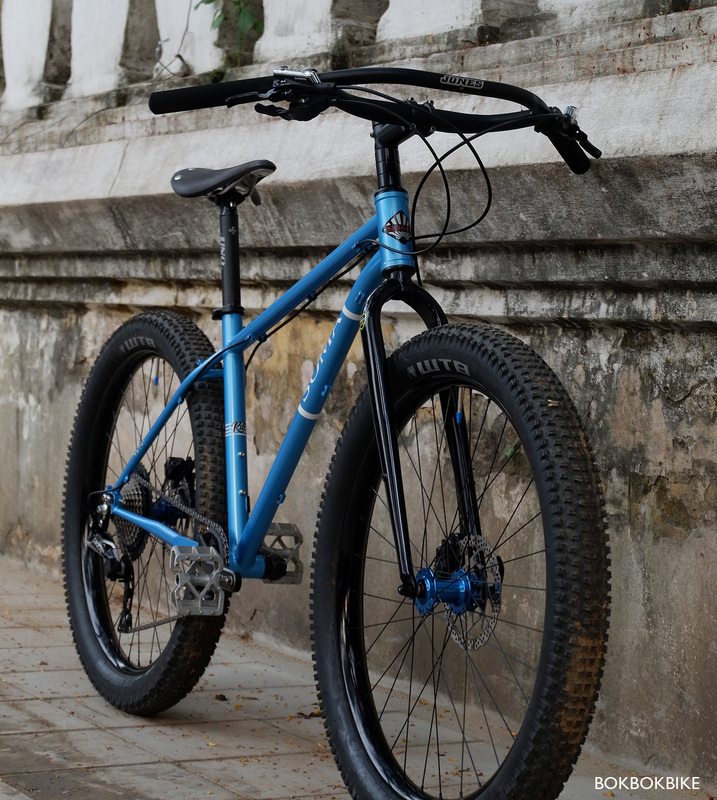 5) At one time we would've recommended that if you are 6' 2" and over you are better off with a 29er, but we know of a couple of folks who are over 6' 2" and prefer 650b over 29ers (at least with full suspension bikes). And we also know women under 5' 5" who love their 29ers. Really it boils down to ride style and personal preference.